The United States has been in Afghanistan for more than 10 years now. 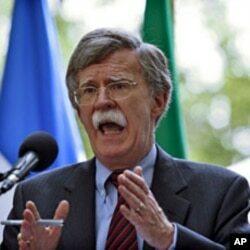 In 2001 it led an international coalition that ousted the Taliban from power. Washington is also contributing some 90,000 troops to the 130,000 strong NATO force currently in Afghanistan. The U.S. and NATO goal is to hand over combat operations to the Afghan security and armed forces by the end of 2014. But experts say the public mood in most NATO countries is that they want their soldiers home as soon as possible. 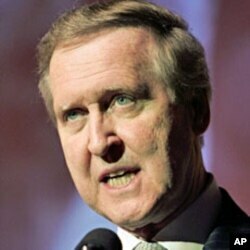 Former Defense Secretary William Cohen says the American public is exhausted with a war entering its second decade. Former National Security Adviser General Brent Scowcroft agrees. “It’s [the Afghan war] so long, it’s so expensive in terms of fatalities and dollars. Yes - we’re exhausted," he said. More than 1,800 American soldiers and Marines have been killed in Afghanistan and more than 15,000 wounded. While agreeing that the American public is exhausted with the war, former U.S. Ambassador to the United Nations John Bolton says the U.S. political establishment - both Democrats and Republicans - has not adequately made the case for continued U.S. involvement in Afghanistan. But Cohen says the United States cannot do it alone - there needs to be a regional solution to the Afghan problem. “There is going to be tremendous pressure on the U.S., on the coalition countries who are in Afghanistan, to reduce their presence and move away," Cohen added.